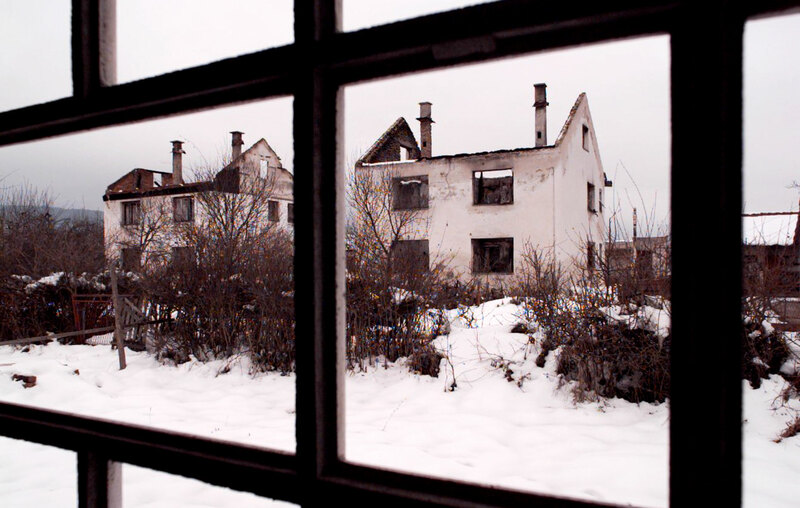 All that remains of homes that were once owned by Muslim families and were destroyed during the war by Serbian soldiers. They would use a technique in which a grenade was place on top of a jerry-can full of gasoline. The pin was pulled and the resulting explosion would spray the gasoline throughout the interior with the home burning in minutes.